For all you metal guitar players out there, here’s a fun song to learn. 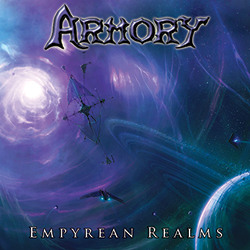 The two guitarists from Armory got together and spent way too many hours tabbing out all the guitars (rhythm, harmonies, solos, and clean) for the song “Fate Seeker” from our new album, Empyrean Realms. Don’t worry, it’s only 19 pages long, hehe. You’re welcome! Download the guitar tab and Listen to the song. New Guitar Tab for “Fate Seeker”.